I have had dry amd for probably 10 years or more. I am 76. Last year, my left eye developed wet AMD. I have been treated with injections of Avastin and am on a 9 week schedule. After my last injection, I developed several large floaters that stayed in the lower right quadrant of my eye. I did go back to my retinal specialist in a few days and he diagnosed these floaters as silicon drops from the coating on the needle used for injection. I'm wondering if anyone else has had this experience? If so, did the silicon floaters go away, dissolve, or are they a permanent thing? They are irritating, and I keep thinking I've spilled something on myself....hard to tell illusion from reality! Would appreciate any info, any idea of how often this occurs. I've been receiving Avastin injections for a year because of retinal vein occlusion. On only two occasions did I develop the wet, oily floaters. The doctor was unconcerned, assured me they would go away within a few days. Indeed the first time they were gone within a few hours. They developed again after yesterday's injection and are still with me 24 hours later. Fingers crossed that they too will disappear. Again, the doctor was not concerned. I had my 1st injection of Avastin in Feb for wet MD. I had a few small floaters the day after but they went away. I switched doctors and had my 2nd injection yesterday. I had 7 black spots in a cluster at the bottom of my vision. When I woke up this morning there were 6. Now 5 hours later there are 5. I hope they all go away. I friend at work had an injection Wed with the same results - same drs office but different dr. The day after she had 2 black spots. I will be sure to share this site with her. I always get the temp floater but two shots ago a black disk with a watery center appeared and has been with me 3 months. I drive for a living and its bad when the sun is out. When a bright light hits the watery center of the floater it looks like a flashlight right into the eye. blinding me for a second. going to ask for answers Monday during my next shot. Thank you to whoever reported this to the FDA and for pursuing it. Please let the rest of us know what we can do to help you. One large ‘floater’ remains and has been there for 2 years now. I have researched, asked many questions, and am convinced it happened when the compounding lab filled the syringe. To this date, I am still waiting to hear from FDA, this site, doctors... how often this happens. I am sure it can be traced back to the lab ( I have lot number and dates for that particular batch of syringes)... and they should be held accountable. I don’t wish this upon anyone else! I have received 2 injections in my right eye. I now have more than 20 oil droplets floaters from Avastin syringes. My eye tends to feel weak and tearing a lot. I am really depressed about it. The floaters interferes with my daily life as a teacher. I had been to a new doctor in Dec 2017 for my AMD treatment. Before he gave the Avastin injection, I told him about the possibility of floaters in case he used a silicone tipped needle. He said "Dont worry,it will go away in a couple of days." Indeed the floater came up and caused me a lot of discomfort but no pain. It went away after 2 days.I am surprised that the doctor took my concern rather lightly. It certainly is hard to get information from the FDA. I have all of the information they need to check their database for adverse side effects from an Avastin injection. They are stonewalling. The compounding/outsourcing lab was RC in Ohio. I live in Oregon. I am not giving up on this. Next contact is my state representative for help. We are entitled to that information. Shouldn’t need a lawyer to to get it. If there are others who got an injection with that same batch of needles and have a permanent oil drop now, that lab needs to be held accountable! I had been switched to Eyelea after getting silicone floaters from Avastin eye injections. It has been a rude shock to find that my insurance is now requiring a 20% co-pay for Eyelea. That comes out to about $400 per shot. With shots every 9 weeks, this comes out to a pretty hefty amount in a year.....@ $2400. Yikes! Could we all have had injections from the same lot? I am in my 40s and get veg-f injections in both eyes due to a blood vessel in each invading as a secondary condition to the rare white dot syndrome. The air bubble after the Injection is different from the silicon bubbles, which are more clear in the center. The air bubble is very black and goes away after a day or two. Four patients of my retina specialist got silicon bubbles after Avastin injections this past summer. The assistant traced the injections back to a specific lot and my doctor switched vendors. He called the offending vendor and told them about this and the vendor said they’d never heard of this problem. My doctor sent them numerous links to medical journals detailing the history of the problem. He said it’s hogwash that they didn’t know. It’s been 5 months and I still have tons of bubbles, both large and small. He said one patient has had them go away and 3’of us still have them. The largest one has faded in brightness and has spread out. Others look slightly smaller and then the backdrop of hundreds of tiny bubbles is fading slowly. My doctor said they go away but they are taking longer than he originally estimated. He said the tiny ones were probably floaters I previously didn’t notice because usually silicon bubbles come together and congeal into larger bubbles - but I am certain I did not have these before. I see someone above also has this shower of floaters. What is really striking is the timing of all these posts on this thread. Perhaps we all had Avastin from the same lots at the same offending vendor? I will get the vendor name and lot number from my doctor and post it here. Perhaps others can do the same. Yes. I have the same issue. After cataract surgery I realized that I could see my floaters much better!! UCLA is now using a silicone free needle. I commented last February about the floaters so this is an update. I have wet in both eyes and have had Avastin injections for three years. I have had the floaters once in a while but last May when I went for the injections (both eyes) I kept one floater. I get the injections every five weeks. This time it has stayed but only makes its appearance once in a while. Where it goes in the meantime I have no idea. It was quite bright yesterday but this morning I don 't see it. I feel it must be here to stay. It is bad enough not seeing well without this added to it. On another note I had cataract surgery in May and July and thought it had improved my vision but it is back to where it was before. I am thankful I can see a little. I had been diagnosed with wet AMD in my left eye in August, 2018. I started with Avastin and after 2 shots in 3 months, I found a small floater. I could only feel it in my left eye at the lower left corner, nothing irritating anyway. I told my surgeon about this but he asked me to forget about it since it is not a major problem. The central vision has been lost anyway. Over the last 4 months I found that the floater has been decreasing in size and now it has almost disappeared. Thanks. It certainly appears that this is a more common problem than it initially appeared. Thank you to the person who contacted the FDA. A new dark spot - now my Medicare Part B insurance is requiring me to pay 20% of the cost of the Eyelea medication. This comes to roughly $400 per shot. Pretty expensive since I get a shot every 9 weeks. Has anyone else experienced this change in insurance? Hello, I received a shot of Avastin back in March of 2018 and had a large bubble of black. I spoke with the doctor and he said that it should go away in a day or two. It did change but seemed to have broken up into many little black spots. Went back to the doc and he said that he had broken through the eye wall (not sure what that really means yet) but that the black floaters would go away in a few weeks. Went back in May 2018 and floaters are still there. Then he said that it can take up to a year for them to go away. Last appointment in Aug of 2018 and still have floaters. Very distracting. I was diagnosed with wet AMD in my right eye and dry AMD in my left eye in 2016. Avastin shots were started and during my 2nd shot I was left with a whole field of small black floaters. I told my retinal doctor and he immediately reported it. I have been getting shots in my right eye every 3 months and then he accesses the eye for bleeding then makes the decision as to whether I get 3 more months of shots or get to abstain for 3 months. At each assessment appointment both eyes are checked. One week after an assessment in 2018 I woke up one morning and was seeing distortion in my left eye. That eye went from dry to wet, I believe, overnight. I went right in that day to the retinal doctor and he confirmed the wet MD and gave me a shot right away. I believe that saved that eye from further damage that day. By the way, the doctor had told me about the new needles that would not cause any floaters and switched to using them as soon as they were released. My floaters have never gone away but I don't notice them in the house very much but when outside they show me they are still there. I do think in some circumstances my brain ignores them and then I don't see them. 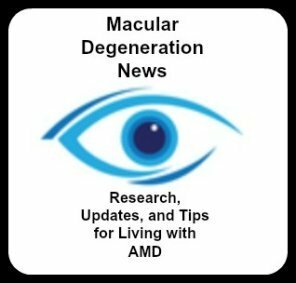 I am 69 now (2018) and both my parents had macular degeneration; I believe MD is hereditary. I have been getting injections for 3+ years now for ocular histoplasmosis. I have had 28 injections over that period into my right eye. I just went yesterday for one, and I have these black spots every where. They are big at first and then get smaller but it seems as if they are ALWAYS there. They never really seem to go away. It's like looking through a dirty windshield at all times and i am constantly swatting at bugs that are not there. It's torture. I was diagnosed with wet macular degeneration (right eye) in October 2017 and had my first injection of Eyelea. Everything was clearing up so the doctor decided to change the medicine to Avastin. I asked him why he was changing the drug, and he said it was because it was cheaper. So my first injection of Avastin was March 21, 2018, and as I was walking to the waiting room, I saw a pea sized blob of black and 50+ black circles w/white centers(all different sizes large/larger, small/smaller, and tiny). The doctor changed the medicine back to Eyelea, but I still have about 20 of these silicone floaters as of today (6-18-2018). I really see the floaters in the light and see them less in a room with less light. I'm always swatting at a perceived bug by my right eye, but none there. Diagnosed with AMD April 2018. First 2 shots were OK but had a problem with eye pain, tearing and eye sensitivity. Goes away after 5 hours. After 3rd shot this week experiencing subtle flashes and many floaters. Returned to doc to ensure retina is OK. All checks out and will return in 2 weeks to see if I"m having the same symptoms. After getting eye floaters from an Avastin injection with a silicone coated needle, I complained enough that my ophthalmologist switched me to Eyelea which doesn't use a coated needle. I haven't had any further problem with floaters, though they haven't gone away. I was diagnosed with wet AMD in December, 2017 and recieved my first eye injection then. It was surprisingly painless and I did not experience any floaters at that time. Since that time, I received three eye injections and each one resulted with what looked like two BBs injected into my eye. This happened immediately with each injection. I asked the nurse about this and she said they were air bubbles and would go away. The spots, floaters, are like drops of oil suspended in water. Why not use silicone-free syringes. They are now available from https://www.westpharma.com/blog/2017/September/when-silicone-oil-is-not-an-option and other sources. Is the ophthalmology industry invested in a product with known undesired consequences? A patient has the right to request a fundamentally safer syringe! I just had my first injection and have a large circular floater! Looking forward to morning hoping it will disappear. I commented back in February about the silicone floaters after Avastin injections. At that time I had them for three days. They lasted 4 weeks at that time and finally went away but I still get a few after the shots of Avastin. I finally have had some replies to my inquiries. Both FDA and Genentech have been in contact. The hang up right now is getting information in regard to silicone oil specifics( batch # etc) used for the syringe. FDA needs that to search their database for other reports related to that batch. Will have to persevere. My suspicion is that the compounding lab has that information. Are they dragging their feet? My doctor is very good about keeping me informed on the research he is involved in. So far, the Lucentis injections have been keeping both eyes stable. I am waiting for communication from Genentech to authorize the Retina Clinic to release my records. Progress. Slow. Hope I live long enough to see the results. I complained to my retinal specialist about the floaters and he switched me to Eyelea which does not come with a prepackaged silicone coated needle. Has anyone received injections with the special needles made for eye injections... and where? I can’t believe that with the large number of people all across the country being treated for AMD there hasn’t been a push to abandon the silicone oil coated syringes. Europe has been using them for years. I live in Oregon. Does anyone know of a Clinic who uses the newer needles? Anyone in Washington getting treated at a Retina clinic using the newer needles? That information is near impossible to find out! I have received Avastin in both eyes for over two years and recently developed the black floaters. I always have them for a short while but then they disappear this time I had them for four weeks and they finally left. That are extremely irritating. Hope yours go away. Since my last post, Jan 25, I received a Wet AMD shot of Avastin with a new, smaller needle that does not have the silicone coating. It is a .32 gauge needle and actually was much less painful than the previous needles. Ask your doctor. I had cataracts in both eyes and consulted an ophthalmologist about this. He suggested that I go for surgery but said that if I can manage, if I am happy with the quality of my life, I may wait. I discussed the issues and risks with my son and we felt that I can get the surgery for one eye. Since both the eyes are affected, I chose the left eye. The doctor confirmed that there was no AMD in either eye,in an answer to my specific question. The surgery was done and the bandage was removed the same night. The next morning, I noticed a dark patch in central vision of left eye, where the surgery was done. After examination,the doctor said that there was some swelling and it will go away in a few days. The dark patch did not go away after 7 days. He changed the eye drops,said the swelling had decreased and asked me to come for a check up after a week. The dark patch remained put and after one week the doctor said there was some other problem and referred me to a Retina specialist. That doctor examined and pronounced that I have wet AMD, it must have been there for awhile, even before the cataract surgery. Well,,this took me by surprise since I never experienced its presence nor the first surgeon found it. So I have started on Avastin injections,I had 2 in the last 6 months, each injection being preceded by eye examination. .There you are and now I am looking for aids..I am also in a dilemma about cataract surgery for my right eye. Any suggestions! After 8 months, and after the rd injection,I find a floater at the left lower corner of my left eye and a small floater coming up. I have been having Avastin injections for almost three years in both eyes and always have some dark floaters immediately after the injections. They usually are gone by the next day but this time it has been three days and I still have one floating around. I will wait a few more days and if no better will contact the retina a specialist. I have been getting the Avastin injection for Wet AMD in my left eye for four years. I recently noticed the black floaters increasing in size and number. My Doctors says they have seen an "uptick" in this over the past year. They seem to grow by coagulating over time and do not go away. Mine resemble a crescent shaped constellation in the sky. Very frustrating. The doctor said there was a surgical procedure they could perform to get rid of them, but they will come back if I continue to receive the Avastin injections. Thanks for responses. I am now on Eye after the silicone bubbles from Avastin needles. Hadn't thought of contacting the FDA but may do that. I googled the topic several months ago and saw an attorney group in Cleveland was interested in cases like this. Don't now remember the name but think I have it at home. I'm on a trip now. Bubbles are still there. Yes, very annoying! If people report these apparently permanent floaters, we may be able to track the syringes back to the compounding lab. We owe it to others to prevent this from happening. I hope your floaters will still go away, or at least break up and go to the bottom of the eye. Mine is still there, bopping around with every eye movement. It is beyond annoying, and I dread having to live with this the rest of my life. But I will continue the injections, now with Lucentis. They keep me from losing my eyesight. I hope everybody with those seemingly permanent floaters contacts the FDA. I sincerely feel that compounding Avastin increases the chance of the silicone oil separating from the needle and getting into the meds. I hadn't checked this site for awhile, as my previous posting didn't get any replies. I have done enough research to conclude that it is the fault of the compounding lab... The silicone oil separated from the needle. Either due to negligence or faulty transport ( shock, freezing/ thawing). Reported it to FDA. Received a questionnaire from Genentech ( manufacturer). I hope others will come forward. This was avoidable. It is definitely effecting my quality of life, causes balance problems, vision problems, beyond annoying. This has become a problem for me since July and August injections. The floaters were like a blizzard after the August injection. They are still present, but have consolidated into smaller numbers, but larger size. I have had something similar after injections. I get what I call bubbles of the medicine. They only last a day or two. Hopefully yours will dissolve soon.